Learn how to keep a record of your business costs and expenses. Search For - enter a keyword and/or a Start/End date to search for an existing expense. This feature is useful if you have aot of records. Expenses - displays a list of all your expenses. Mileage - displays a list all of your mileage expenses. Export Expenses - allows you to export expenses and/or mileage expenses to Excel. Click the Add Expense button. 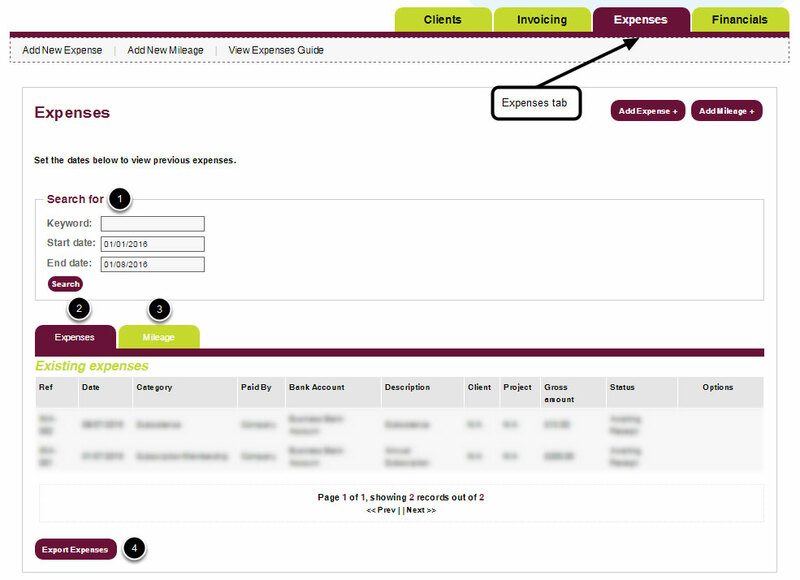 Enter your expense details into the Add / Edit Expenses form. Date – enter the date on your expense receipt or the date the expense was incurred. Category – choose type of expense from the dropdown menu. Paid By – choose who paid for the expense, company or individual. Bank Account – this will default to main current account. Change to other account if applicable, such as credit card. Provide a description of what the expense was. Client – you will be able to attach an expense to an invoice if it is client billable. If your client does not appear in the list, please see Clients & Projects - How to Add a Client to learn how to add them to the portal). Gross amount – Add the value of the expense. 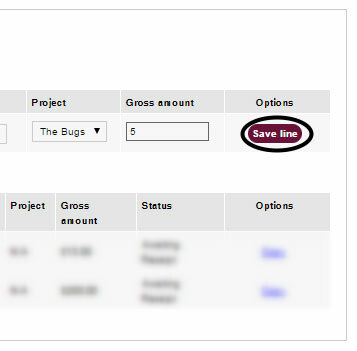 Click the Save Line button under the Options column to save your details. The expense will appear in the Existing expenses table to confirm it has been successfully added to the portal. Copy – click this link to duplicate and edit the expense. Click the Add Mileage button. 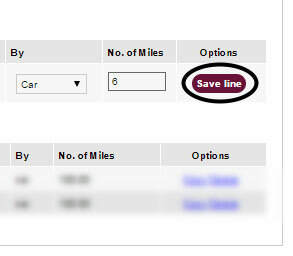 Enter your mileage expense details into the Add / Edit Mileages form. Project – select the project the expense is associated with, if available. Paid by – select the person claiming the mileage so that the portal can calculate each person's mileage. Journey Start / End – use the From and To fields to specify the journey distance (i.e. postcodes or text that describe the start and end destinations, for example, from home to IBM offices). By – select your mode of transport using the dropdown list. No. of Miles – mileage for single journey. Please enter the return journey separately, if applicable. The mileage expense will appear in the Edit existing journey table to confirm it has been successfully added to the portal.